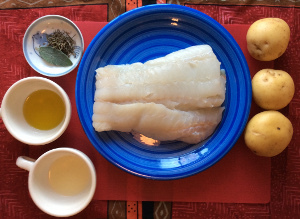 Baked cod with potatoes is a simple and refined dish. 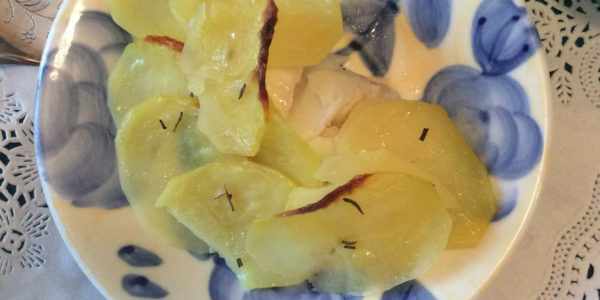 This second course can be prepared in 30 minutes by using simple ingredients. Just choose fresh fish, excellent potatoes, and quality extra virgin olive oil. Also suitable for children, this recipe is gluten free. 1 tart pan, 1 large bowl, 1 knife or 1 mandoline, 1 chopping board, parchment paper, 1 small sauce pan, 1 strainer. 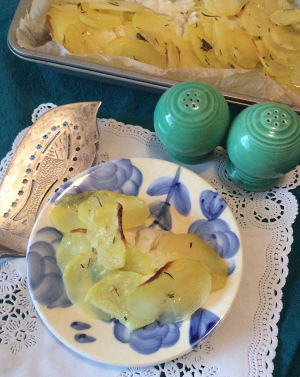 Preheat oven to 180º and place a sheet of parchment paper in a tart pan. 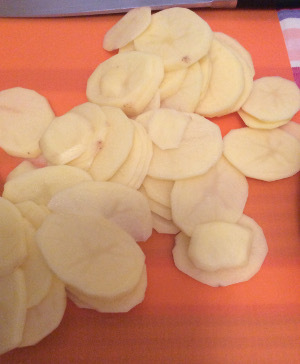 Peel the potatoes and cut into thin slices by using a knife or a mandoline. Pour water into a small saucepan, put on the stove, bring to a boil, and add salt. 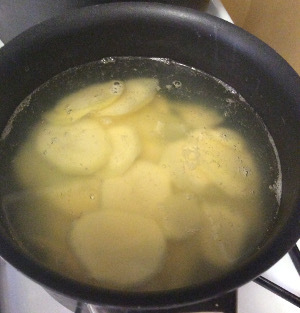 Put the potatoes into the saucepan containing boiling water and cook for about 1 minute. 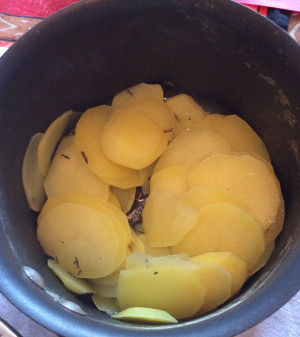 Put the drained potatoes again into the saucepan, season with oil (use half of the total amount), salt, white pepper, herbs, and mix well. Place the fish into the tart pan, sprinkle with lemon juice, olive oil, and salt. 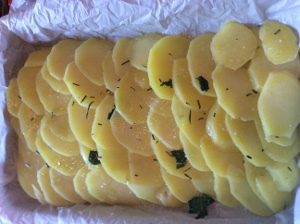 Arrange potatoes in one layer over the cod and sprinkle with the remaining olive oil. 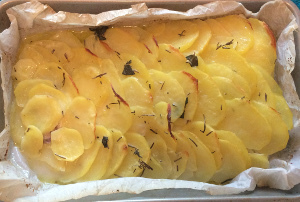 Bake for about 30 minutes until potatoes are brown and crispy. 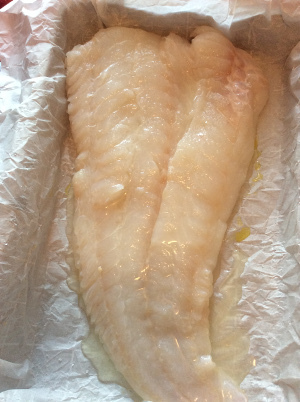 In case you cook for children, buy fish varieties that have no fish bones. 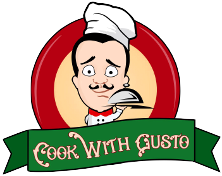 Otherwise, you can prepare this recipe with other types of fish such as sea bass, trout or salmon. You can use mixed herbs, dried herbs or just rosemary.